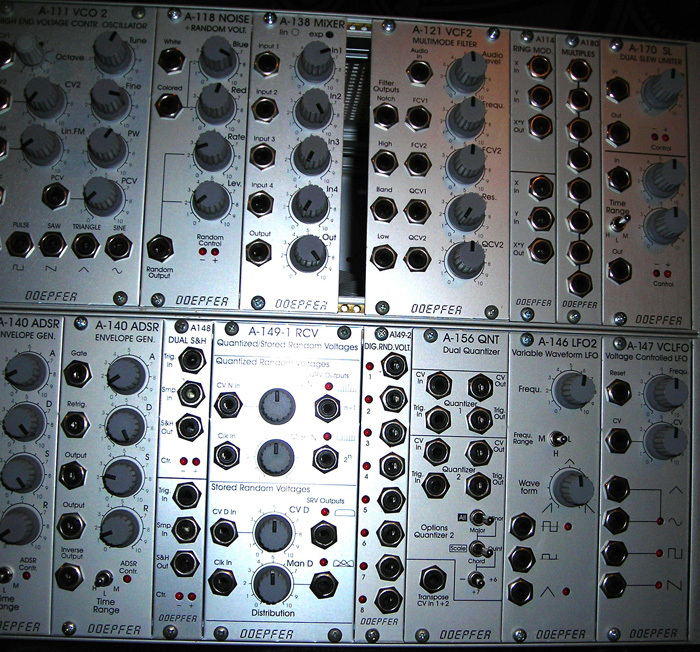 The Doepfer Modular System is a fantastic "modern modular" made by the Doepfer company, based in Germany. As with other modular systems, any combination of synthesizer and processor modules can be collected and combined to broaden the sonic possibilities towards the infinite. 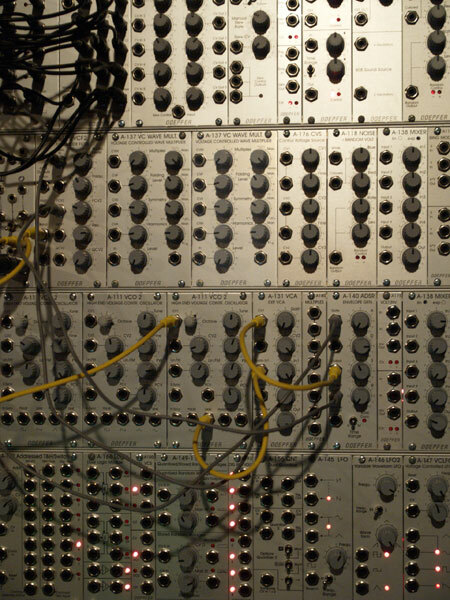 The Doepfer was one of the first of the "modern modulars" to use the smaller module format known as "Eurorack". Eurorack has become something of a standard modular synth module format nowadays, with many other module manufacturers realising that they could sell their modules to existing modular synth owners if they made them available in the Eurorack format. On the plus side, the Eurorack format is compact and means that a modular system is potentially much more portable than the giant systems of yore. Plus, with several manufacturers now making modules that are compatible, there are a wide array of options - and in general the "price of entry" is lower than with older or full-sized modules. However, the small format means the necessity to use 1/8 inch plugs and sockets for CV and Audio - the system can be more "cluttered" once you have many patch cords plugged in - and panels can be slightly more difficult to access. None of this should really be too much of an obstacle though. Modular synths are often considered to be the "ultimate" - and the Doepfer is of course pure analog goodness. Cool tutorial-style demo of a hybrid modular setup with some Doepfer and some other modules. This one's great: Giorgio Moroder's "I feel love" played on a modular system. Nice to see someone making music and not just noise on one of these complex systems.